It is getting cooler day by day in Cairo. at Cairo Airport in the middle of winter! 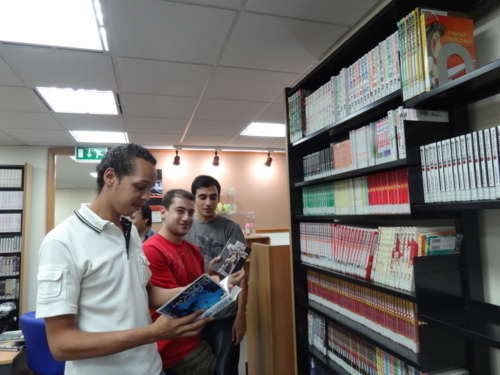 Japanese animation and Manga(Japanese comics) are quite popular in Egypt. and nearly 1400 members are talking enthusiastically about Japanese animation. 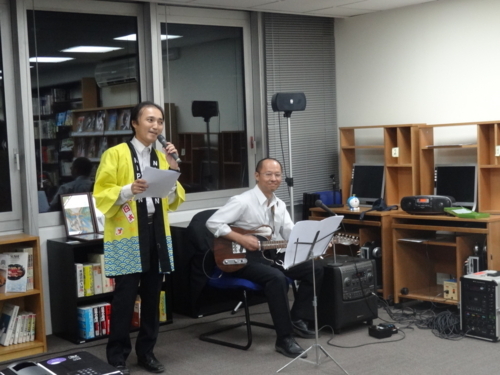 On 20th of October, we opened “J-POP Salon” where people can experience Japanese POP culture. 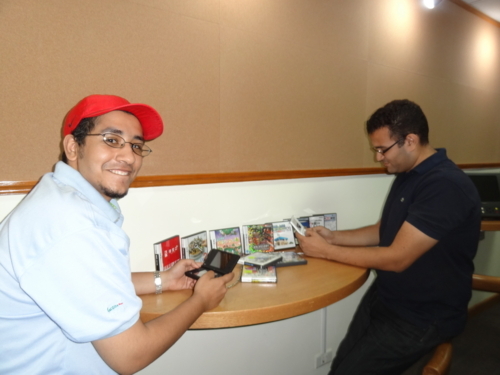 and encourage friendship between Egyptian and Japanese, in the library. Let’s have a look “J-POP salon”. This is a corner for “theme of this month”. We decide theme of J-POP salon every month and change display at this corner. and also introduce some books, comics and CDs according to the theme. This is place for enjoying Japanese music. You can enjoy music clips of Japanese pop music here with caf〓 atmosphere. There is place for playing games too. 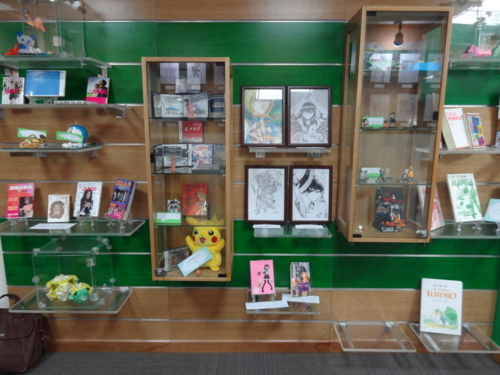 It is “Manga”(Japanese comics) corner. There are more than thousand of Manga including complete collection of Osamu Tezuka. and reading books & comics, playing IGO & SHOGI on the TATAMI. I would like to report you about opening ceremony of “J-POP salon”. With Over 50 attendance including ambassador of Japan to Egypt Mr.OKUDA. gave us presentation about “Me and Japanese Animation & Manga”. and their favorite Animation and manga. 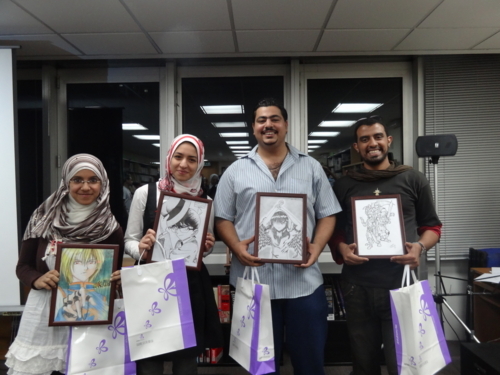 To celebrate the opening of J-POP salon, we held Japanese animation & manga drawing contest. for award of manager and for encouraging prize and we did an awards ceremony. Actually we didn’t expect high revel drawing, because there is no art class in the school in Egypt. But when we started selection, we were so impressed by their works. The revel of drawing was quite high and it was difficult to select winners. 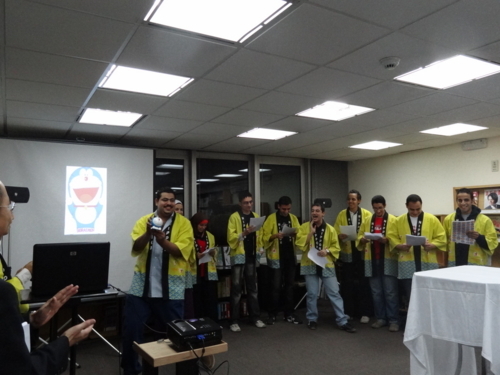 After ceremony, we enjoyed Japanese Anime-songs. 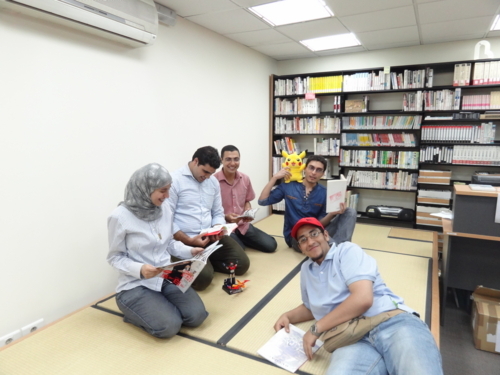 Egyptian Anime-lovers sang songs from “NARUTO”,” GATCHAMAN”,DORAEMON””MAZINGER- Z” in Japanese. Finally, “NORIE-GAGA”, the unit of Furuya Manager and Sato Director entertained people with Japanese Anime-songs. but they got interested in Japan because of Japanese Animation and Manga. and to enjoy it positively. They are ready for the first COSPLAY festival in Egypt. So we are going to hold events for introduction and experience Japanese POP culture to meet their expectations. and setting off firecrackers on the street in Mohandeseen. They were Libyans living in Egypt and celebrated Kadafi`s death. 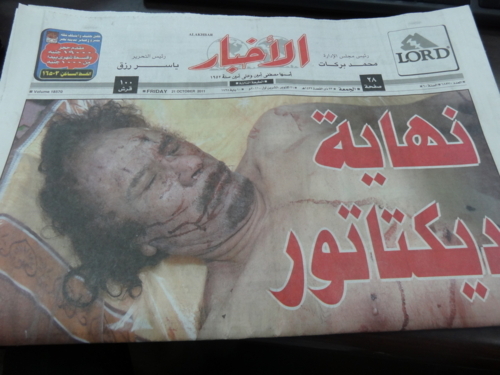 It was top news in Egypt too. But Egyptian　was not so enthusiastic about it. 秋！おやつ！　Autumn, a season for sweets! !